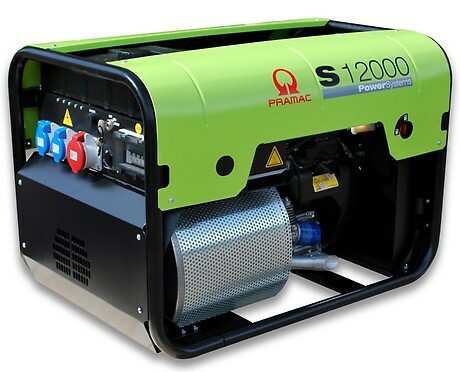 The Pramac S12000-400v 3-Phase petrol generator is the ultimate quality. 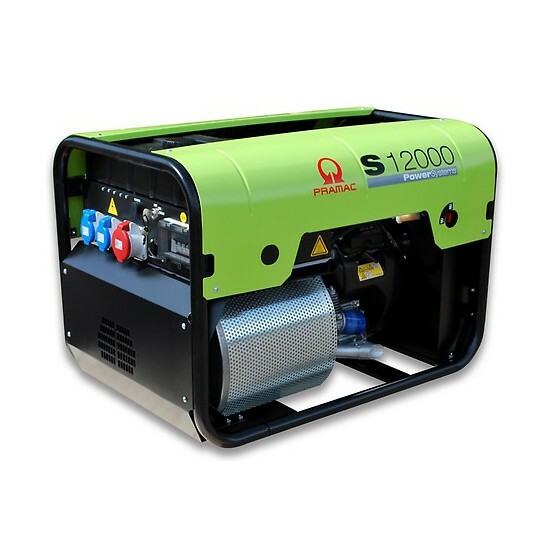 A fully featured professional generator designed and manufactured to be the best portable generator available. A popular choice amongst companies and individuals that want the BEST. The Pramac S12000 3-phase is built using a super reliable 4-stroke Honda GX630 engine. Pramac has designed this petrol generator to ensure the highest performance and reliability levels at a very attractive price. The S12000-400v is a powerful, strong, robust generator but very easy to maintain. This is a 3 phase generator and has a out put of 230/400V it is fitted with 2 x 230V 16 amp and 1 x 400V 32 amp socket outlets. Pramac S Class machines can be used in various fields as emergency power supplies, industrial uses and long periods. With long run fuel tanks offering between 5-12 hours (model dependant) the S series Pramac generators are ideal for applications where performance and power is demanded through extended periods of time. AMF - AUTOMATIC CONTROL PANEL (CONN). The highest levels of technology and reliability characterise these products. They represent the most advanced products in today's market in their respective range of power and are chosen on their innovative specifications by many important users in industry, agriculture, building and hire. Purchasing your Pramac generator from a Pramac Authorised Dealer offers you the piece of mind and security required when making an expensive generator purchase that you will not get from non authorised or other online distributers.